Premium and Commercial Grade Stone. What's the Difference? Loved by millions of homeowners across the United States, granite countertops are a stylish addition to any home. The differences in colors and patterns are literally endless. 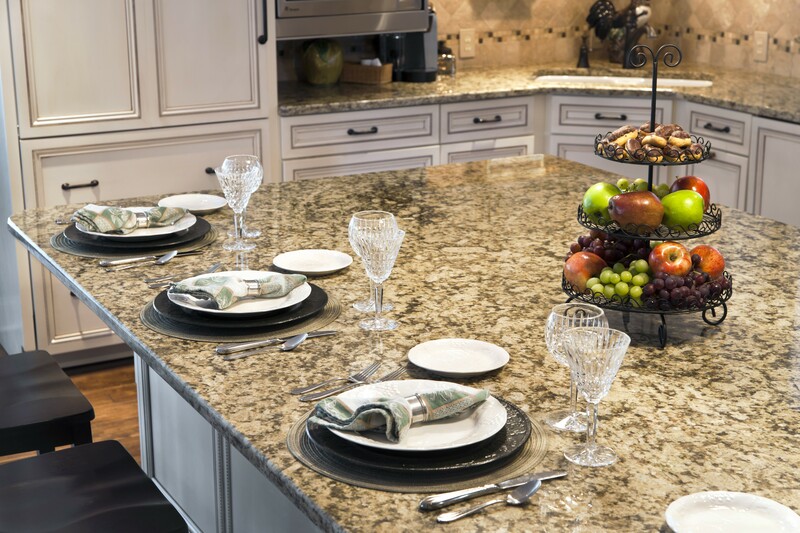 An exceptionally durable natural stone, granite countertops are an investment for homeowners and fabricators alike. Whether you're purchasing from Slab Market to increase your inventory or selling stone slabs, it’s important to understand how the stone is graded. Unlike other natural stone materials, the price of a specific piece of granite isn’t necessarily the best indicator of its quality, and there are no industry-wide quality grading standards either. The granites value is determined by its colors, thickness, veining, marking, and pitting, the country it originates from, and the amount of soft minerals it contains. Granite is primarily composed of three different minerals; feldspar, quartz, and mica, which are easy to spot because of their different colors. The white mineral grains are feldspar (the most abundant mineral in granite). The glass-like, light gray grains are quartz. And the black, flaky grains are black mica (or biotite). Low-grade granite. 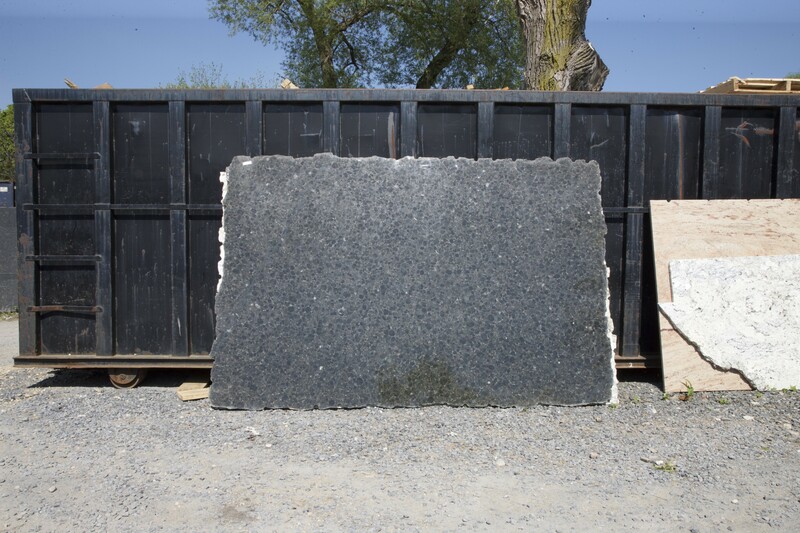 Often referred to as “commercial grade” this granite is typically cut thinner (3/8”) than higher-grade slabs (3/4” or 1-1/4”) and often requires plywood backing. This granite has a significant amount of soft minerals mixed with the stone and a lesser amount of color variation. Mid-grade granite. Imported from India or Brazil, this granite is generally cut to a thickness of ¾”. Mid-grade granite is evaluated strictly on having an average appearance, as in not rare or unusual. Mid-grade granite is often as hard or harder than the more expensive high-grade granite. High-grade or exotic granite is the finest quality because of the rarity of its appearance. Generally quarried from places in India or Brazil, it is at least ¾” thick, usually more. High-grade granite has uncommon colors, veining, and patterns. The biggest, and most noticeable difference in durability, and therefore quality, occurs between low-grade granite and higher grades. This is because the soft minerals make low-grade granite more likely to be damaged. Additionally, these labels can vary drastically between retailers; for example, the lowest grade granite offered by a high-end retailer may be similar, quality-wise, to the highest grade of granite offered by a discount store. 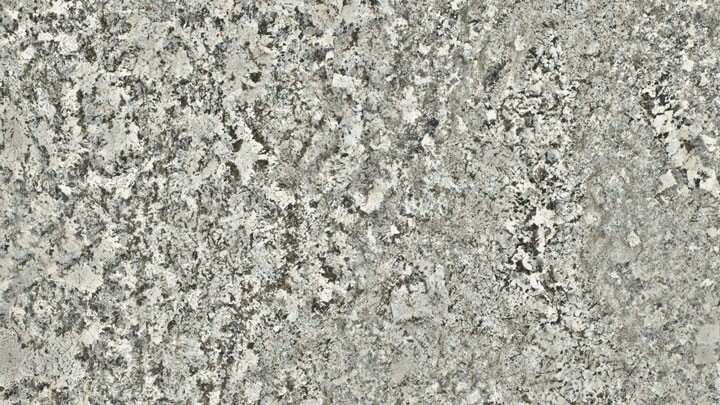 To make matters even more confusing for homebuyers shopping for granite countertops is “commercial grade” vs. “premium grade.” Commercial grade doesn’t always mean low-grade, in many instances, it’s used to refer to granite that’s more readily available because they’re quarried in higher abundance. Premium refers to the harder to find, and more expensive types of granite. In this instance, commercial grade typically refers to ¾” and 1-1/4” slabs. Granite can also be categorized into “levels”. Levels 1, 2, and 3, which, correspond with low, mid, and high-grade. Levels are based on the same criteria, the availability, the colors, and the patterns. Retailers, some of whom use 7 levels to describe their granite, can use them arbitrarily. One thing to keep in mind is that the higher the level, the higher the price. Just remember that the functional properties of granite remain the same despite the grade or level, granite is granite, and a different level doesn't change that. Granite at any level or grade is heat resistant, scratch resistant, durable, and easily maintained. For Natural Stone Fabricators, Slabmarket.com has a number of choices of slabs that are available for your inventory.